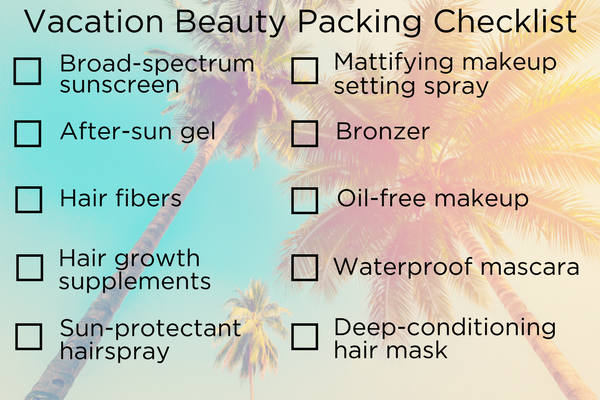 Before you head off on your next getaway, be sure to pack all the beauty essentials you’ll need for your hair and your skin. 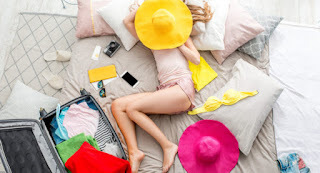 Whether your adventures have you jet-setting abroad or as a staycation, you’ll have all the products you need to always look and feel your best. These tiny hair fibres not only give a lift to hair that has lost its volume in the summer heat, but they cover thinning areas and even can help absorb oil just like a dry shampoo. Each microscopic fibre has an invisible electrostatic coating that adheres it to each individual hair, building natural-looking thickness and coverage. No matter how diligent you are about the sunscreen, there will always be at least one day on vacation when you overdid it in the UV rays (especially for fair-skinned girls). Be sure your toiletry kit includes a nourishing after-sun gel for face and body that cools and hydrates skin on contact for instant relief. Fight shine and absorb oil with a lightweight, mattifying foundation. Then, follow up with a setting spray to keep your makeup looking flawless. The combination of natural-looking, oil-free makeup with a lightweight setting spray will keep your face in place all day. Not all sunblocks are created equal. Choose a good-quality, broad-spectrum sun cream that is SPF 15 or higher in order to block not only UVA but UVB rays too. If your skin is sensitive, choose an oil-free, non-comedogenic and fragrance-free formula. As you’re packing your multi-vitamin, don’t forget your hair growth supplements With hair supplements, consistency is key and you don’t want to miss the growth-boosting benefits of even a few days on vacation. Plus, summer is the season when many women see extra hair shedding or breakage due to weather and sun damage, so it’s even more vital that you stay on top of your hair growth routine. 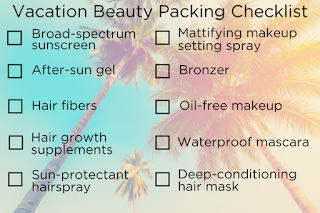 For a complete beauty checklist including all the makeup, hair and skin care products you need for your next summer getaway, download the image below. Happy travels!